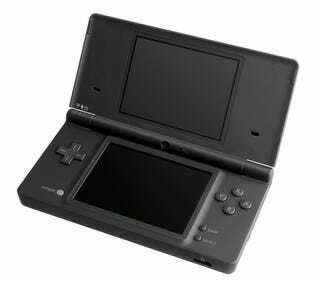 One of the top DS development houses in the industry doesn't see the DSi as just a DS Lite plus gimmicks. "It's not just a DS with cameras in it as some might think," video game producer David Nathanielsz told Kotaku in an interview earlier this week. "It's a more powerful platform." Nathanielsz is the executive producer of the forthcoming Band Hero DS, which is in development at Activision's Vicarious Visions studio. (Check out Kotaku's Band Hero DS interview.) Vicarious Visions has distinguished itself in recent years at being one of the top houses for DS development, pushing the hardware more aggressively than most studios outside of Nintendo. But Vicarious Visions has released just one download-only game for Nintendo's DSi, which has been on the market in the U.S. since April. The studio's next game, November's Band Hero DS, won't even play on the DSi. One reason for the studio's lack of DSi compatibility for its next project is obvious: the DSi lacks the Game Boy Advance slot that current models of the Vicarious Visions' DS music games — including Band Hero DS — require. It's where the games' guitar-grip peripheral plugs into. Nathanielsz wouldn't say whether Vicarious Visions has found an alternate method for connecting guitar peripherals to the DSi for future releases, but he did say that not supporting the DSi with Band Hero DS was more than just a matter of the missing GBA slot. "This is something we've really been thinking about and working on," he said. "What's interesting about the DSi is [that] it's a much more capable system than the DS and DSLite than some may think." He was suggesting that the machine has more horsepower, something I've heard from other DS developers as well but did not have a chance to follow-up on in this interview. "We want to do it right," said Nathanielsz. "We want to get the best experience for what that platform can deliver."